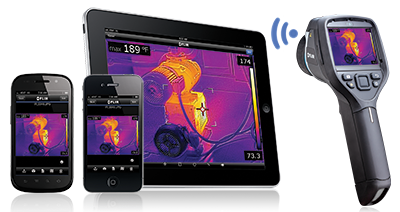 Thermal Imagining is the most efficient method for carrying out a Electrical Safety Inspection. By completing the inspection it can be clearly seen if there are any loose connections or overloaded components in the distribution board or machine. The consequences of electrical system failure, and the costs associated with the failure are not often taken into account on the impact of the business until it is too late. The fault observed may be fixed quickly and economically, however if the fault is not dealt with it may cost the business a lot of money in downtime, loss in production, wages injury claims and increased insurance premiums. The insurance industry have stated that electrical fires represent approx 40% of fire loss insurance costs in industry and approx 20% of large scale fire incidents. Electrical Fires are commonly caused by loose connections, weakening of isolations, obstructed cooling and mechanical damage. It is becoming more common when on commencement or renewal of you insurance policy your Fire Insurance providers are asking for evidence that you undertook a Thermographic Survey of your electrical equipment. Some insurance companies offer discount if you set up a regular surveying program.